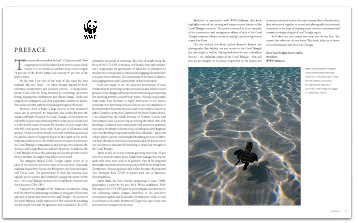 The Coral Triangle book was published with an ambition to raise awareness about this important and unique ecological region and to highlight some significant conservation efforts. 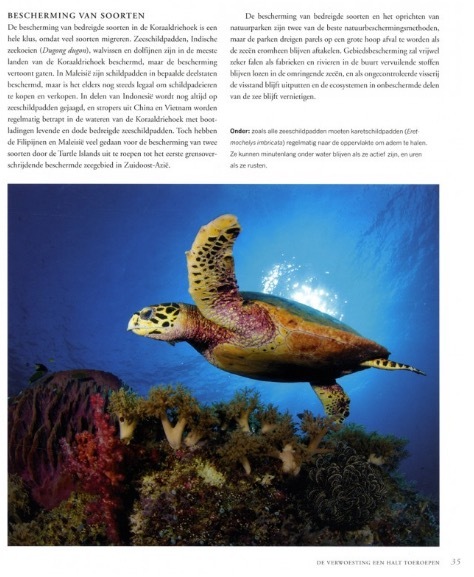 The stunning images gives the reader a taste of it's amazing biodiversity and the breathtaking seascapes one can encounter. 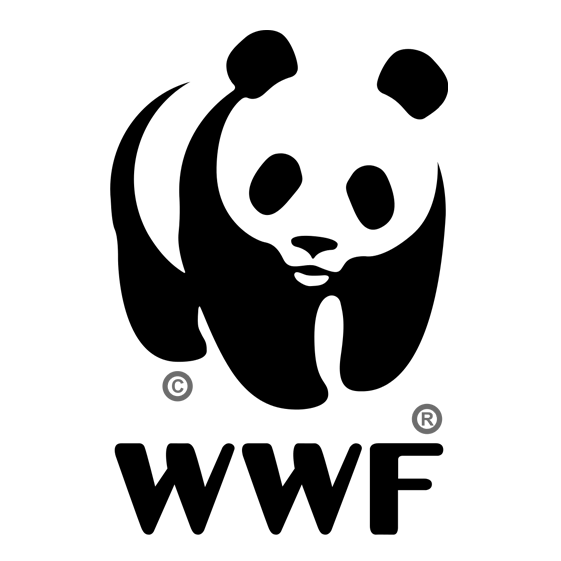 It also provides information on the rich cultures and some of the threats and challenges the member countries are facing. 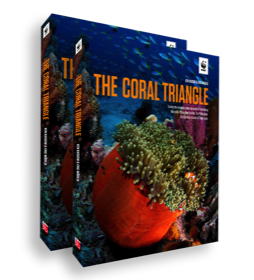 The book describes the Coral Triangle history and concept and highlights key projects in each of the six member countries. 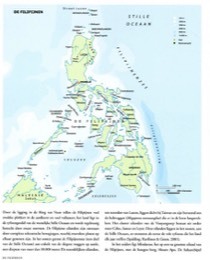 The authors have been living in the Coral Triangle for decades and visited each country to learn about its people and customs, dove extensively on some of the world's most exciting reefs and met many passionate conservationists and researchers from NGOs, governments, and the private sector. As I often say, you cannot save what you do not love. You cannot love what you do not know. 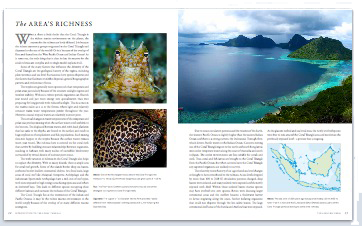 This book helps us to know, love and ultimately save the Coral Triangle. EXCELLENT READ... I would rate this book not as a coffee table book just because it is that size. I purchased three copies, two of which went as gifts to young people who need to know about this important work by Ken Kassem. The pictures are very good, but what is written in the book is what really matters. Ken gives special case studies on how and what caring individuals and governments did, to protect or revive their reefs. 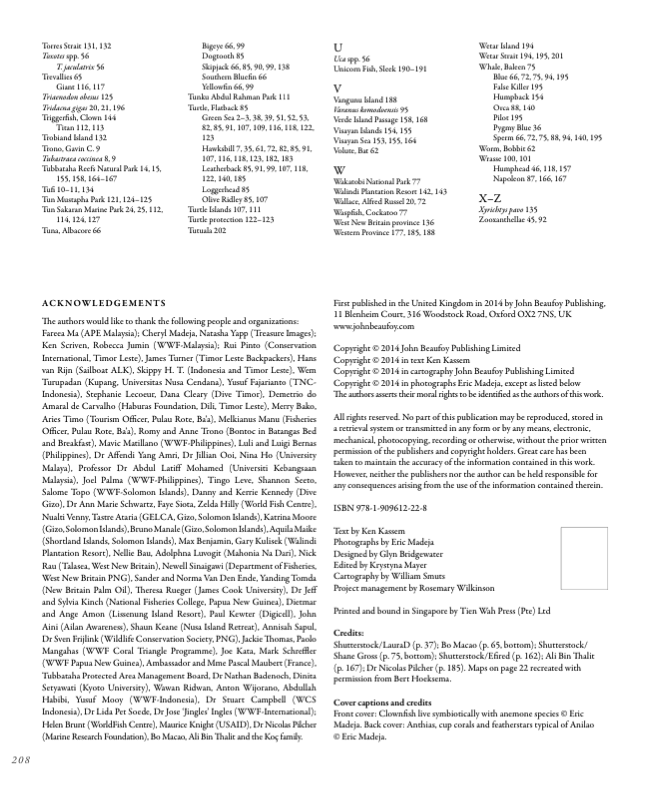 This book can be used as a textbook too for there is that much serious areas discussed which students could study to expand on and try to put into action. 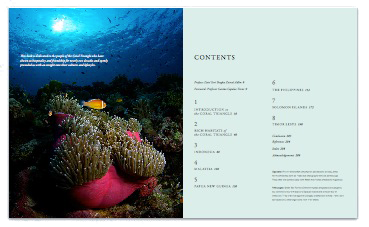 I would like to think, and do hope, this book will be a tipping point for many readers to fully grasp the problems faced by the reefs as well as the positive solutions that have been successful to preserve and protect reefs and thus, making a giant step in ultimately saving the oceans. Stunning photography of some of the most beautiful reefs in the world. 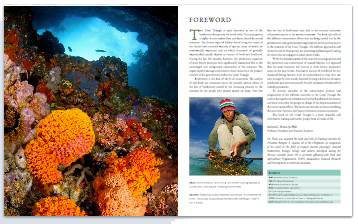 One of the most beautifully photographed and laid out books on the reefs in the coral triangle. 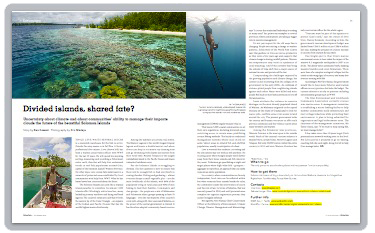 Easy to read and informative about what can be done to protect the reefs. A coffee table book to read cover-to-cover. 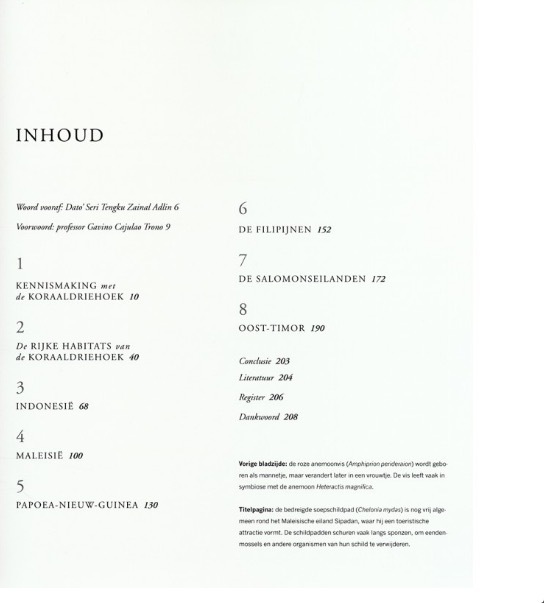 When you open this book you will immediately be taken by the incredible photography. 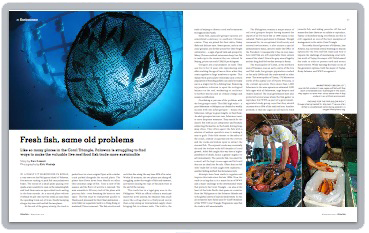 The text provides an interesting and informative view on the biodiversity of The Coral Triangle, but goes further to paint a picture of the people, priorities and policies of the region that is easily accessible to the reader. 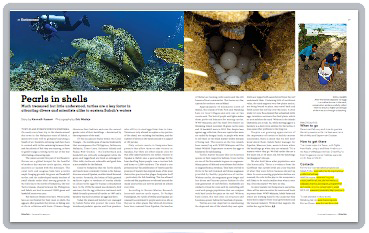 The combination of beautiful photos and engaging text gives a rare view this 'undersea word' that is generally not recognised for its global importance, or for the threats that it faces. 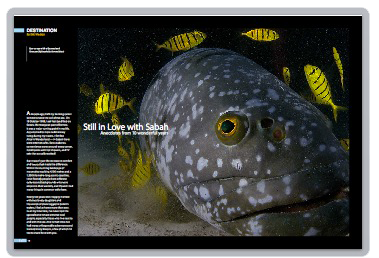 Stunningly illustrated book focusing on diving & marine conservation in the Coral Triangle. 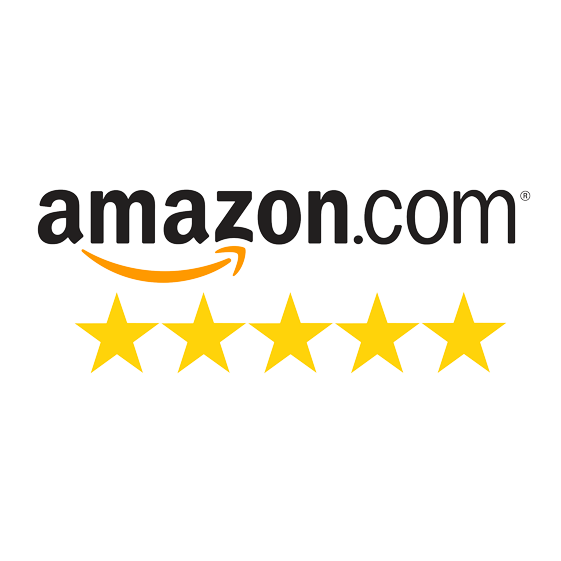 What an incredible book! 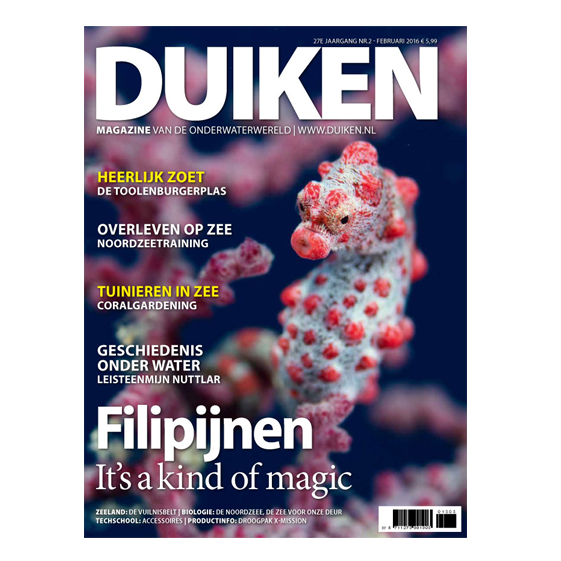 The countries & undersea world of the Coral Triangle region are brought to life in a beautifully photographically illustrated book. 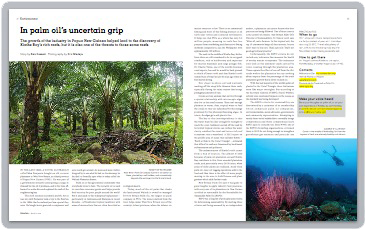 Conservation topics are covered in an easy to read style that really helps lay people gain an understanding & appreciation of the challenges facing the Coral Triangle region. Even if you are someone like me who is not a SCUBA diver you will still be able to appreciate the book. For anyone with an intrest in natural history, marine conservation, diving or the countries of the Coral Triangle it is a must read book. 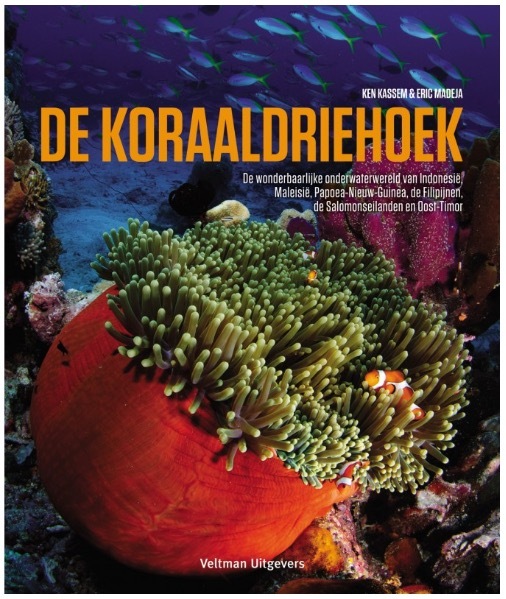 Extraordinarily interesting book with a wealth of information on the status and threats to coral reefs. Beautiful underwater and top side photography with amazing pictures. A must-have for policy makers, NGO's, divers and anyone else interested in the status quo and concerned about the future of coral reefs in the cradle of underwater life on our planet. 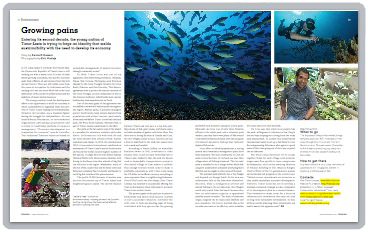 The beauty from this book is that you as a diver get a lot of insight into the background of these countries in this region that focus on their marine biodiversity. By reading, you find out why there is a unique coral reef present and how it is protected.